The cool thing about living in the digital age is that your favorite band can stealthily record a whole bunch of new material and you won’t even know until it’s released. 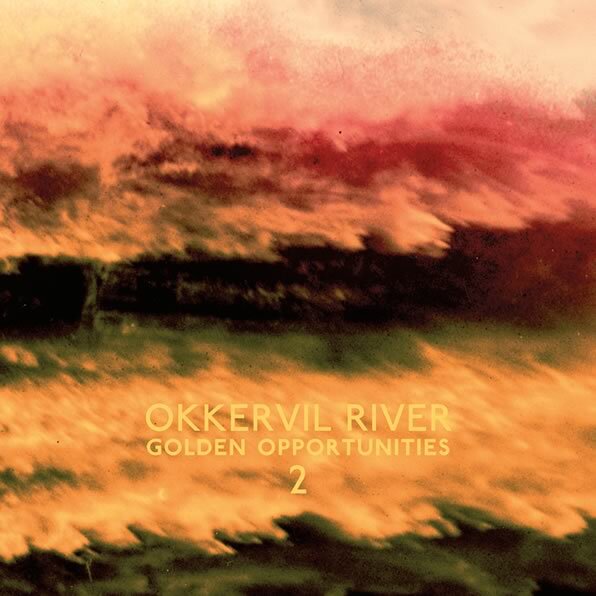 That’s exactly what went down just a few short days ago when Okkervil River busted out with Golden Opportunities 2, a sequel of sorts to the covers record they gifted their fans for Christmas in 2009. The original Golden Opportunities Mix Tape featured amazing covers of songs by the likes of Joni Mitchell, Randy Newman, and an amazingly translated mash up of Serge Gainsbourg’s “I Came Here To Say I’m Going Away” and “96 Tears.” Oh, and lead singer Will Sheff totally English-ed the French tune up himself. Pretty legit, huh? This time around, the Texas quintet is only tackling five tunes, all of which I can honestly say I’ve never heard before, but if there’s one thing you can count on Sheff for, it’s to best you with his knowledge of not just music, but basically everything. Books? Will Sheff knows about books. Greek myths? Duh, Will Sheff writes songs about Greek myths. In fact, one of my very favorite things about Okkervil River is the fact that Sheff consistently bests me in the smarts department and I learn all sorts of new things from lyrics about the likes of Lethe’s banks. Despite this, I’m always still very anxious whenever the band releases a cover. Sure, theses songs will be missing Sheff’s trademark lit references and musical witticisms but they’ll introduce me to some new jams that I’d be blissfully ignorant to if it wasn’t for Sheff. Like Jim Sullivan’s “U.F.O.,” a song that has a really amazing story behind it. And it’s a story I would have probably never heard if it wasn’t for Sheff! And the best part about Golden Opportunities 2? The EP is free on the band’s website — and available in lossless format! Thanks, Will Sheff. I love you, too. I’m a dark individual with a heart of gold and I need to tell you about a band that is out there killing it and doing it their own way. A band that stands out from the rest of the pack would be: He Whose Ox Is Gored. Don’t let the name scare you away; this band has been on the Seattle music scene for three years now. Dare I say a staple of what Seattle continues to provide for people who love music. A dark, brooding band that crosses a few genres, but you could ultimately chalk up as an instrumental/doom metal hybrid fueled by beer! If you have ever listened to Isis, M83 or Torche, you will no doubt like HWOIG. HWOIG caught my eye one drunken night and I’m ashamed to say I don’t know where I was, or how I got there. But the name, of all things to remember, was there early in the afternoon in my subconsciousness when I finally woke up. So I found them on MySpace (yes, this was over three years ago!) and gave them a listen. Memories flooded back to me of the show and I was hooked. I read up on them, found them on YouTube, and watched them market themselves through a viral campaign dubbed OXscan 2.0, were one can walk the streets of Capitol Hill and find their 2D barcodes for free music, or for a price of your choosing to support touring, recording costs, and of course beer money! Before I knew of such great places like Bandcamp, I was stuck going to my MySpace page and listening to them. I fall into various moods during the snowy season (which in North Central Washington lasts about five months) but it seems the most common may be serene, calm, sedate. Give me a Thesaurus and I could go on. In other words, though I may at times want to hear some heavy metal or maybe a hot banjo jam, most of the time, I just want to hear something gentle and soothing. And that is where this lovely trio of songs by Grand Rapids’ Strawberry Heritage comes in. Sometimes all it takes is some vocals and acoustic guitars to make a song complete, and that’s what Strawberry Heritage does. A trip to the Bandcamp page for the Shoreline EP is as stark as the music itself, with very few details about the songs or the artist, John Hanson. Click on the artist’s name, and you’re directed to Hanson’s Flickr Photostream which … uh, interestingly enough includes images of members of Michigan folk band Frontier Ruckus. Frontier Ruckus is my favorite winter band of all time, you guys. So yeah, if it’s gonna be like that, then all the more reason to add Strawberry Heritage to my winter music queue, and yours. And then I feel really dumb, because not only did I put the song on the CD myself, but I recall that every occasion when I hear it, I think it’s somebody who SOUNDS like Nilsson, but then am reminded that it actually IS Nilsson. I don’t really know why this keeps happening. Probably after this post, I will no longer have that problem. 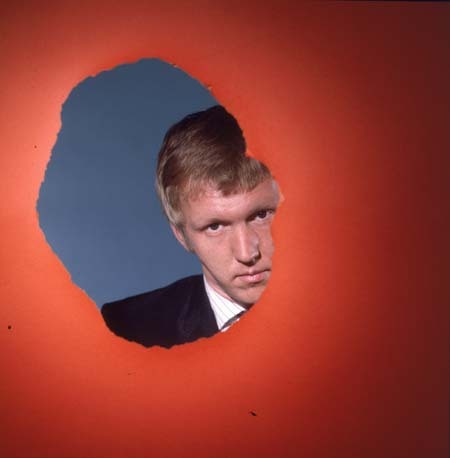 Though, kudos to me for — without KNOWING the song is Nilsson — LIKENING it to Nilsson. I mean, in my defense, I’ve often reviewed music that sounds so much like Nilsson, it could actually be him, so this probably comes down to trust issues. How can I trust what I’m hearing is Nilsson when he’s one of the more emulated artists of music past in today’s indie universe (other strongest contenders, in my experience, being David Bowie and Neil Young). I mean, come on, just listen to this cover by The 88. It’s pretty much exactly the same. SUCH TRICKERY. When I was a child, my mom used to tell me about a moment that changed her life forever: The moment she found out that John Lennon was dead. She was a waitress in the Midwest at the time and I can picture the scene perfectly in my head: My blonde mom is wearing white Keds and a pink uniform with a white apron, serving coffee to old men and truckers. There’s a TV in the corner of the diner, and a news anchor in a grey suit and red tie interrupts a game show to say that John Lennon’s been shot. My mom’s life wasn’t the same. I don’t know if that’s actually how everything played out. When my mom used to tell me about Lennon’s death, she used to tell me how she felt, how customers reacted, that sort of thing. She never told me what she was wearing or what the weather was like outside but I invented all of those details in my head. 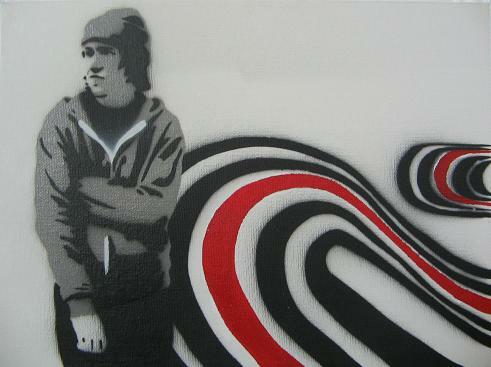 I never thought what it would be like for me if I lost a John Lennon, so when Elliott Smith died, I didn’t know what a void I’d feel. In a lot of ways, Smith was my Lennon. There’s a reason, after all, that I have Smith’s song lyrics tattooed on me not once but twice. I think that makes me pretty legit. Dude wrote good songs. Now, nearly ten years after the indie legend’s death, another posthumous track has been unearthed — this one a “warm up” from a radio session Smith did in Maryland in ’97. The song is called “Misery Let Me Down” and is just as perfect as you’d expect, considering it came from the revered time that spawned Either/Or, a time that people commonly refer to as the peak of Smith’s all-too-brief career. You can listen to the track over at The Washington Post, and read all about Alex Teslik, the Smith superfan who unearthed the song. I remember very vividly when From A Basement On The Hill, the album Smith was working on when he died, came out posthumously. What I remember most is the intense feeling of loss I felt as the album’s final track, “A Distorted Reality Is Now A Necessity To Be Free,” wrapped up. That, I thought, was the last new Smith song I’d hear. It was the end of an era that had lasted me from twelve until nineteen, the most formative years of my life up until that point. I was so sad in that moment. What I didn’t know then was the fact that eight years later, Smith would still be bustin’ out the jams. I think we all owe him a high five for that when we get to the afterlife. I try to be that super cool indie girl who’s immune to super manufactured pop music. I try to be above it. In fact, I went through a very dedicated phase in college where I only listened to Joanna Newsom and the score from Lord Of The Rings. It was a strange time. Nevertheless, no matter what seemingly steadfast barriers I surround my fragile indie ears with, there are things that do make their way past my defenses. At first, I try to ignore it and when that doesn’t work, I try to hate it and if that doesn’t do any good, then I’m done for. I can’t resist it. I’ve found myself dealing with that more than a few times. My senior year of high school, Justin Timberlake’s “Cry Me A River” was the only thing in my stereo more than Interpol’s debut. Years later, I found my murder ballad loving self seduced by the sweet baby angel voice of Taylor Swift. And now? It’s the glam noir indie pop of Lana Del Rey that I’m finding my ear heartbeat racing for, despite my best efforts. It was “Video Games” that did it to me. And it was the fact that the super romantic song was first played for me by a guy that’s just the kind of affections-thieving rebel that Del Rey sings about that endeared the song to me even more. For four days straight, I listened to nothing but “Video Games” and daydreamed about that boy. It was like middle school all over again, only with much better eyeliner. I had hoped that my reaction to “Video Games” was isolated, that my fondness for Del Rey’s haunting, smoky vocals wouldn’t spread to her other songs. Then I made the mistake of listening to “Kinda Outta Luck” and I couldn’t not like Del Rey. Do you realize what that song is? It’s a song about killing! A song about a girl killing guys! All of my absolute favorite songs ever are about murder (See my obsessions with Okkervil River and Timber Timbre). The surefire way to make me love your music is to write about, oh, say, bludgeoning a guy in the back of the head with a gun. Naturally, Del Rey has won me over completely with this. It’s basically a documentation of one of my biggest fantasies!